A stainless steel water bottle is a great way to ditch plastic and it's naturally BPA free. Not only is it safer but it is better for the environment. Just be careful though. Some stainless steel water bottles contain not so friendly material. That's why I like Eco Vessel. It's liner free and all plastics used are safe. Plus, this one is double walled. That means it stays colder longer and doesn't sweat! Eco Vessel is based in Boulder, Colorado. They are dedicated to making safe products. Although the water bottles are manufactured in China, they are made with respect for the workers and the environment. Their manufacturing facilities are visited on a regular basis. The accessories including the tops and straws are made in England. 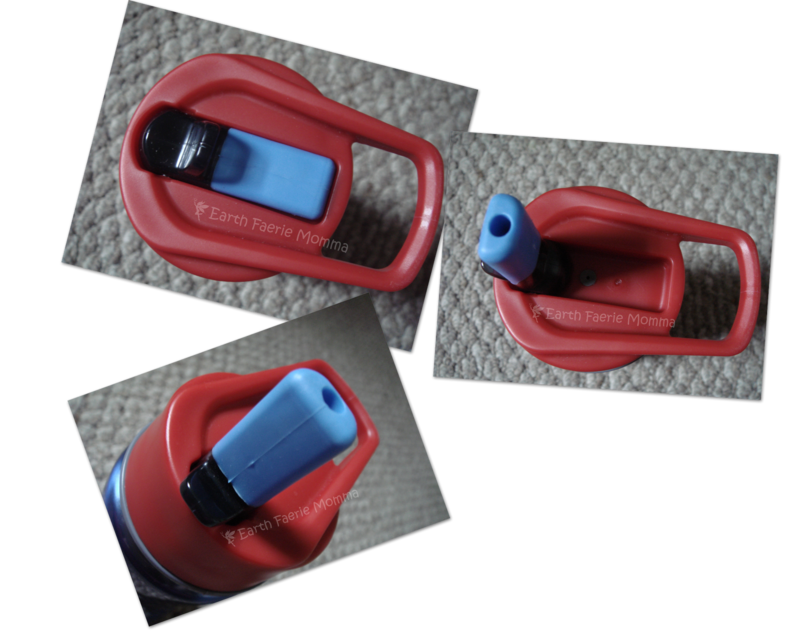 They sent Chase the kids insulated water bottle with a straw top (13oz). It's perfect for taking to school! This bottle is perfect for Chase. It is recommended for ages 4 and up. Chase just grew out of his "chew everything like a dog" phase. So, I knew this was safe for him to use. The straw top is soft and comfortable. It is easy for him to lift up and close himself. He has been taking this water bottle everywhere he goes. The carrying loop is strong and easy to grasp. The straw top is made of Thermoplastic Rubber (TPR). It is a mix of rubber and plastic polymers. Eco Vessel chose this material because it is safe, durable and recyclable. 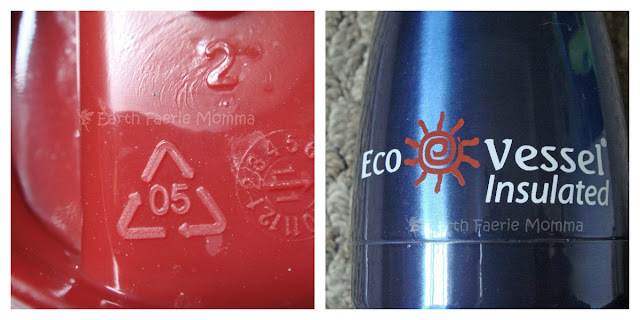 Polypropylene, recycle symbol #5, is one of the safest plastics. I love how long the water stays cold. We went out on a hot day and the water was still as cold as when I put it in, several hours before. It was refreshing to have something cool to drink and it didn't sweat all over everything in the bag. I also like the wide mouth. It makes it much easier to hand wash and refill. 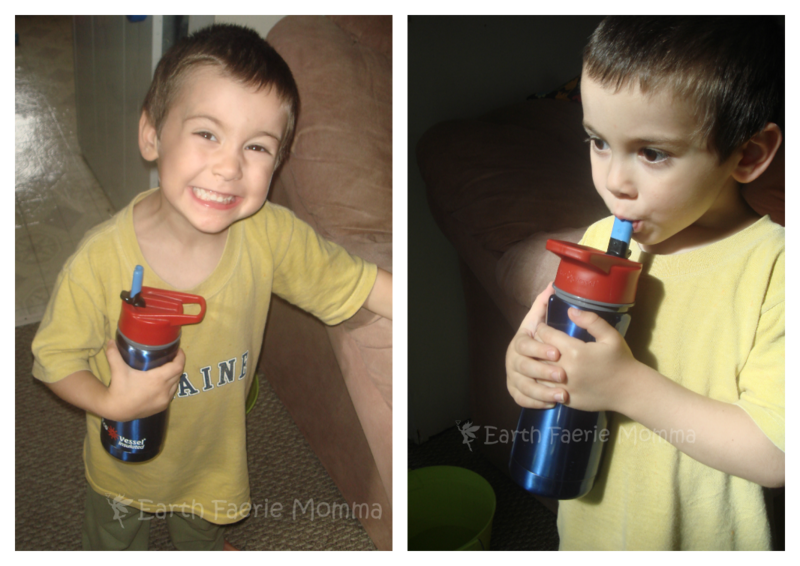 Chase loves having his own water bottle that is easy for him to use. Most of all I love that this bottle is non-toxic. Chase is a big water drinker and I am happy I can provide him with something safe to drink his water out of. This is by far the best stainless steel water bottle we have used. I hope to get one for everyone in the family soon. I can tell it is going to last us many years and when the time comes to get a new one, we can recycle all the parts! I am very happy with the customer service from Eco Vessel. They have been very helpful. Eco Vessel also makes some amazing filtration water bottles called Aqua Vessels! I love how interactive their facebook page is. Check it out for ways to win your own bottle. Get your own kids insulated, straw top, stainless steel water bottle from Eco Vessel for $21.95. Use the code "SCHOOL" for 20% off! Good until August 13th. Come back August 17-31 for the Back To School Spree Giveaway Hop for a chance to win a prize pack including a kids insulated, straw top, stainless steel water bottle from Eco Vessel. Open to the US & CAN. Just look for this button on my sidebar.